There are proposals to induct Veda research scholars in to this Patasala. At present a green marble statue is placed in the Vedapatasala. 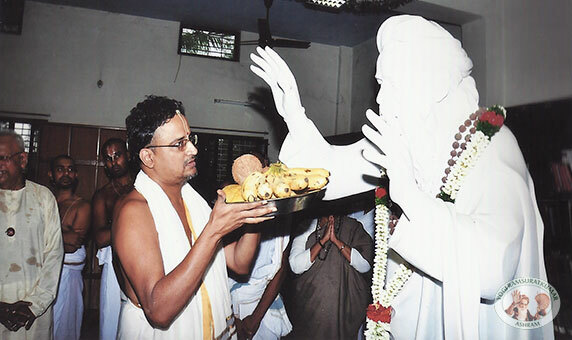 The statue was made in Italy by an Italian sculptor who has not seen Swamiji at all. Devotees can see the statue between 9 A.M. to 10 A.M. in the morning and 6 P.M. to 7 P.M. in the evening. There is a library with a lot of books on Veda for the benefit of the research scholars. 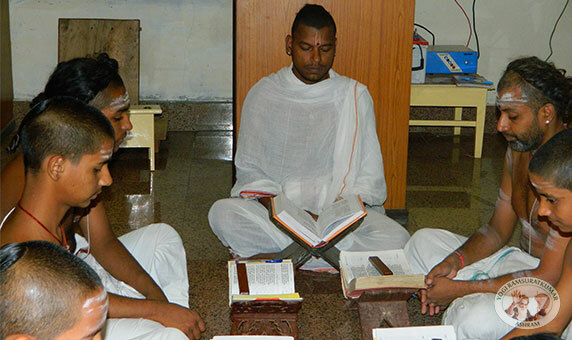 Yogi Ramsuratkumar Research Foundation for Asian Culture was formed and seminars on Ramayana, influence of Sanskrit on various Indian Cultures and Jeevan Mukthas of Bharatham were conducted and many more subjects are in the offing. According to Guru Maharaj if there are no Vedas it amounts to perishing of the world. 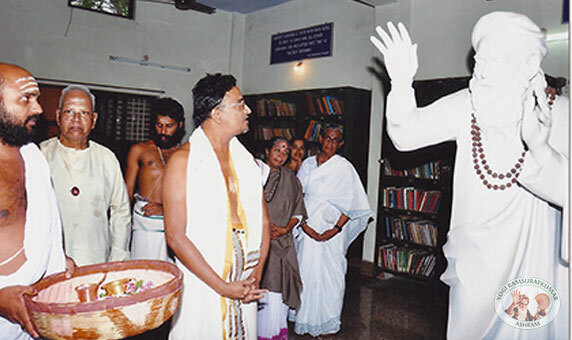 Vedas preserved by Kanchi Mahaswami would have to be safely guarded for the posterity with gratitude to Mahaswami. 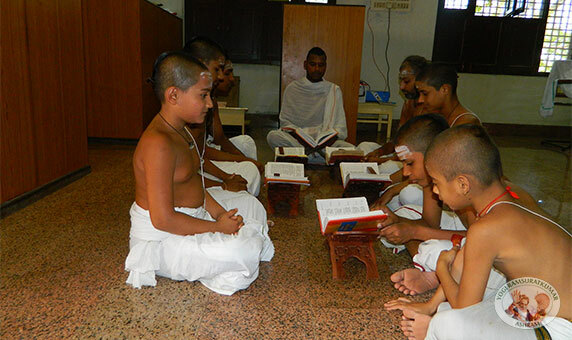 Research in Vedas in conjunction with Sri Chandrasekharendra Saraswathi Viswa Mahavidyalaya and Yogi Ramsuratkumar Research Foundation for Asian Culture saw the initiation of research on subjects relating to the Vedas and Vedic Rishis. 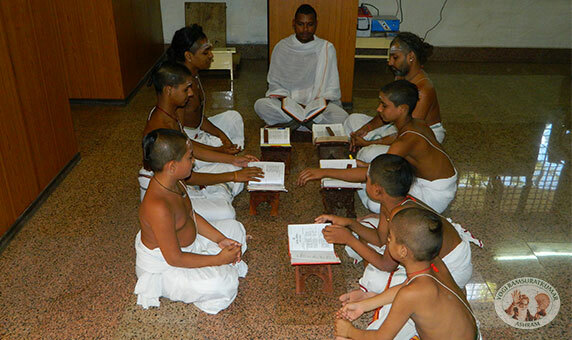 Now we have Rig Veda Patasala, the first of its kind in Tiruvannamalai with seven students.